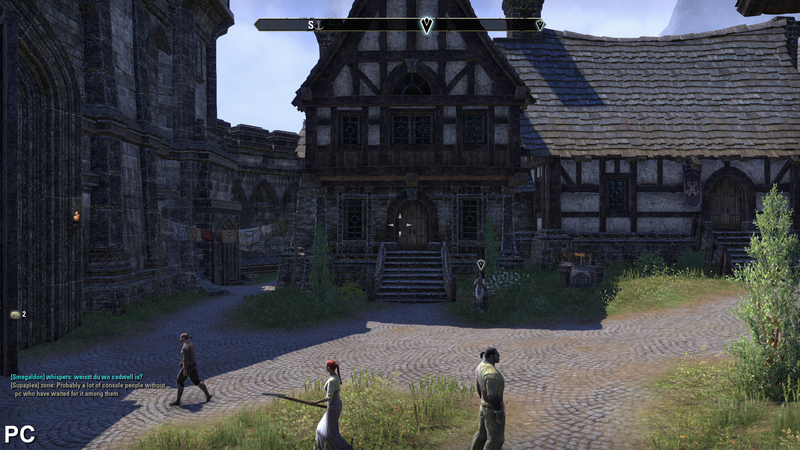 How well does the PC MMO transfer to PS4 and Xbox One? 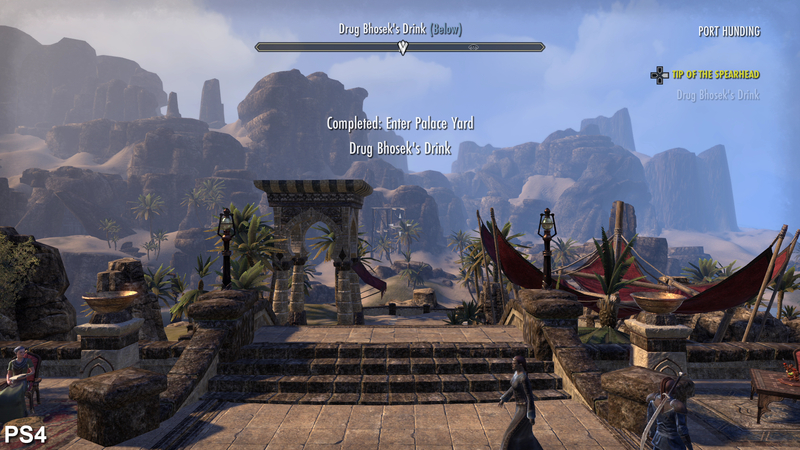 After a rocky start on the PC last year, The Elder Scrolls Online finally comes to the PS4 and Xbox One, six months later than expected. Launching with a number of netcode-related issues that saw players unable to login to the game and stuck waiting in a server queue for up to several hours, it's fair to say the release hasn't gone as smoothly as expected. Indeed many bugs and gameplay issues are still being addressed, despite the emergence of a 15GB day one patch. In particular, the netcode code causes regular interruptions in performance across all platforms, compromising overall stability during gameplay. 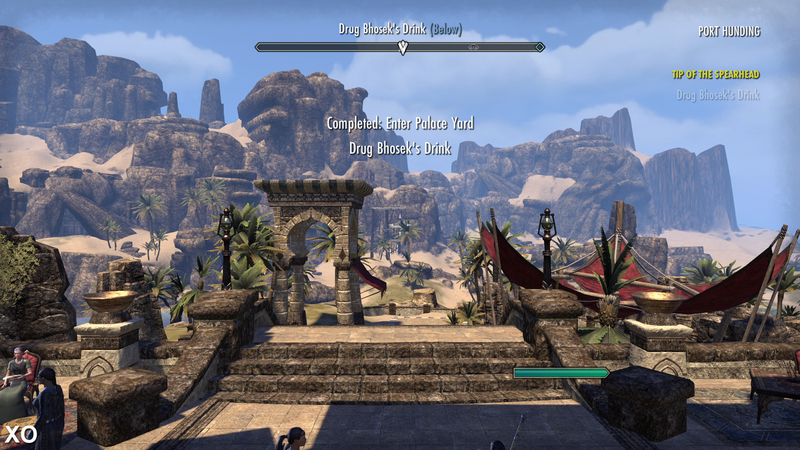 On the plus side, the new versions of Elder Scrolls Online deliver a new menu system built around regular gamepad control, so this is clearly not a straight port of the PC version - some thought has gone into redesigning gameplay for the console audience. Both PS4 and Xbox One hand in native 1080p presentations, with similar anti-aliasing techniques in place. The Elder Scrolls Online generally takes on a fairly clean look with smooth edges and little in the way of obtrusive jaggies; sub-pixel shimmer is kept under control, though smaller details still break up when viewed from a distance. 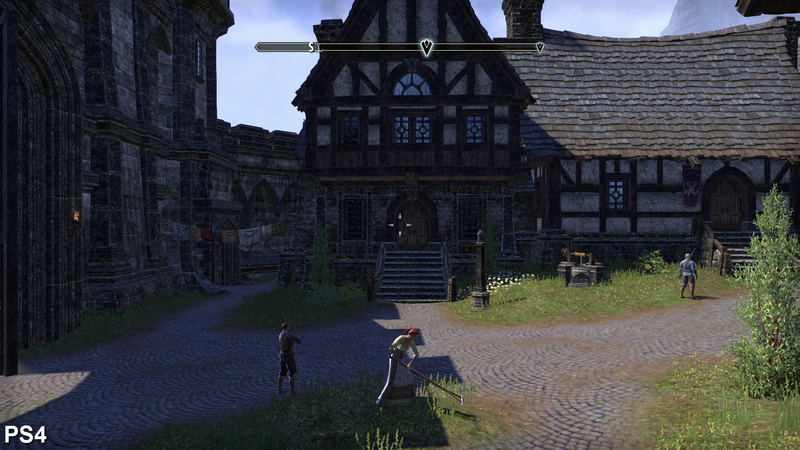 The type of anti-aliasing isn't listed in the settings menu on the PC game, but it's clearly a post-process solution. It's not bad either - texture blur is minimal with just a light reduction in clarity compared to the crystal clear look you get from traditional multi-sampling. 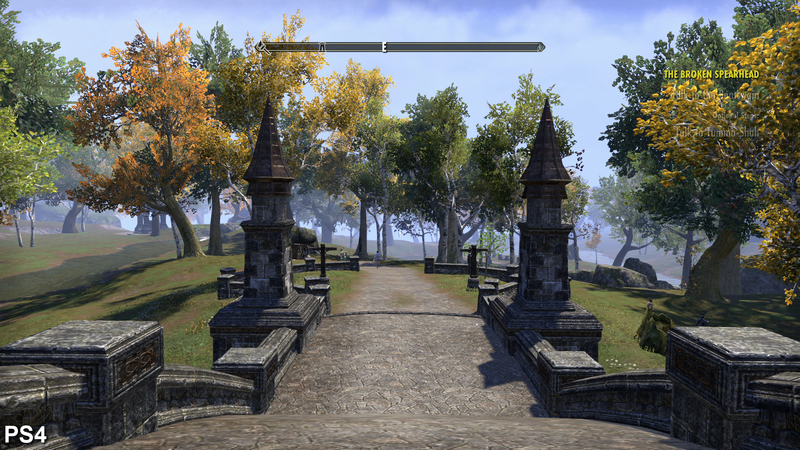 On first impression, the console versions of Elder Scrolls Online appear to align nicely with the PC release, the overall look doesn't seem unduly compromised in terms of texture work and overall detail, while the lighting and post-effects pipeline is a close match across platforms. Texture filtering is a sticking point on consoles though, with the lack of anisotropic filtering impacting clarity on flat surfaces, particularly across the ground where the amount of detail resolved quickly tails off within a few feet of the player. Filtering isn't perfect on the PC either, with the game sporting what looks like something closer to 4x AF instead of the usual 8-16x filtering that you'd expect to find - but it's enough to visibly reduce the texture blurring we see on both console versions. Digging deeper still, there are several other areas where the PS4 and Xbox One versions fall short of the PC release, resulting in a world that appears more barren and less enticing to explore. In particular, LOD streaming is clearly more aggressive on consoles, culling buildings, mountains and effects from not-too-distant scenery in multiple areas, while in some locations the highest quality assets fail to appear at all on the PS4 and Xbox One, suggesting that the console games are operating at a notch below the ultra preset when it comes to overall graphical complexity. In these situations, we find the PC game delivering a higher level of detail to buildings, rock faces and other objects, adding an extra layer of intricacy to the artwork. 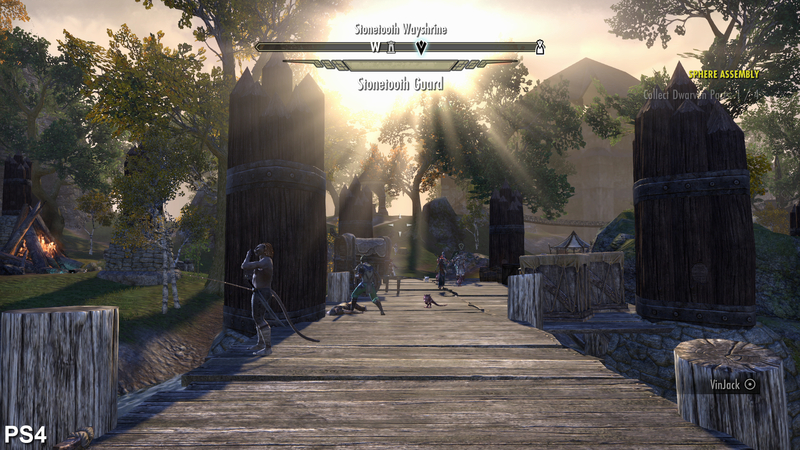 Light shafts are pared back on the Xbox One version of Elder Scrolls Online. In this shot we see how the accompanying bloom from the sun is significantly reduced on Microsoft's console. 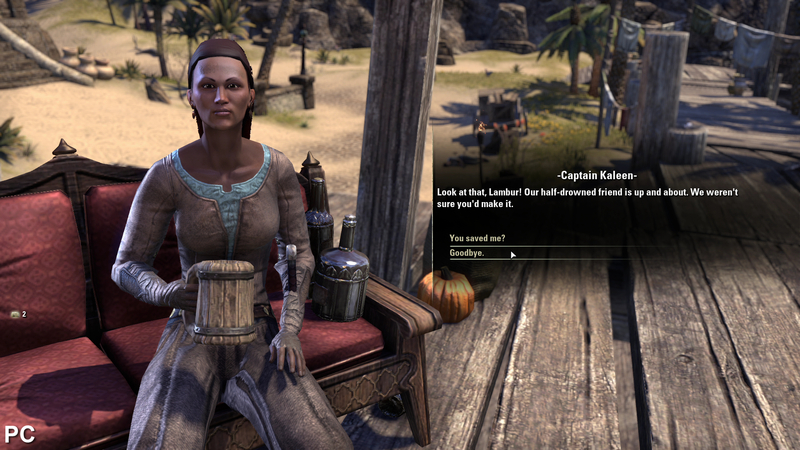 Depth of field is absent on Xbox One during dialogue scenes with NPCs, although a more limited version of the effect does appear around the sides of the screen when displaying your inventory. 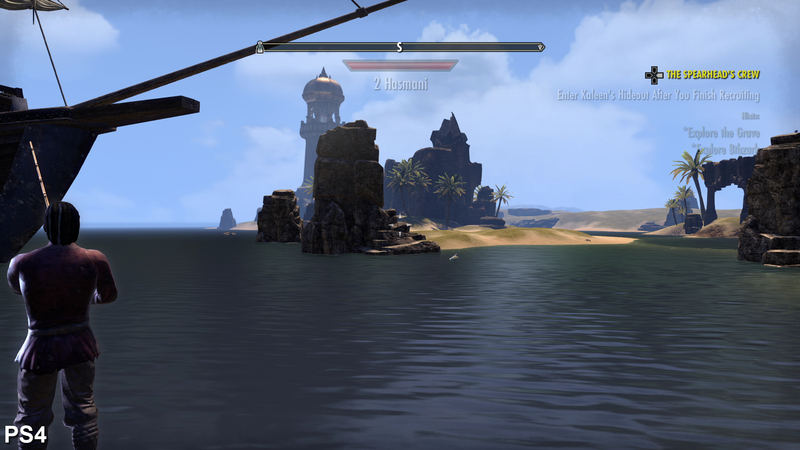 The water on the PC game reflects the surrounding environment on the surface, but only light sources are reflected on consoles, resulting in a more artificial-looking effect. Level of detail (LOD) transitions are also more aggressive on consoles, with higher quality environment models appearing much later. In this shot, the rockface ahead features more nuanced detail in the form of higher quality textures and more geometry complexity. The added amount of graphical complexity in the PC game helps to deliver fuller looking environments, but despite the extra density to distant scenery, the fairly large landscapes on offer often frequently appear rather bland, with many locations feeling under-developed: towns such as Daggerfall and the seaport of Stros M'Kai lack the level of detail to form a believably thriving world, and this isn't helped by the duplication of familiar buildings and a lack of incidental detail to flesh out the scenery. Additionally, the various locations on offer throughout the game are presented as distinctly closed-off areas separated via loading screens, rather than one massive persistent world that you can seamlessly traverse from end to end. That said, Bethesda throws in a few nice visual touches that give a clear boost to the general presentation under certain conditions, helping to breathe more life into the experience. For example, the use of dynamic time of day and weather systems dramatically impacts the look of the environments, with material properties changing the way that scenery reacts to different lighting conditions. Bright mid-morning sunlight creates a blue tinted specular glow across the stonework on buildings and mountainous areas of the game, whereas these elements take on a subdued glossy finish appearance when wet during a rainstorm. Other touches include particle effects, depth of field, and reflections across water and selected wet surfaces. 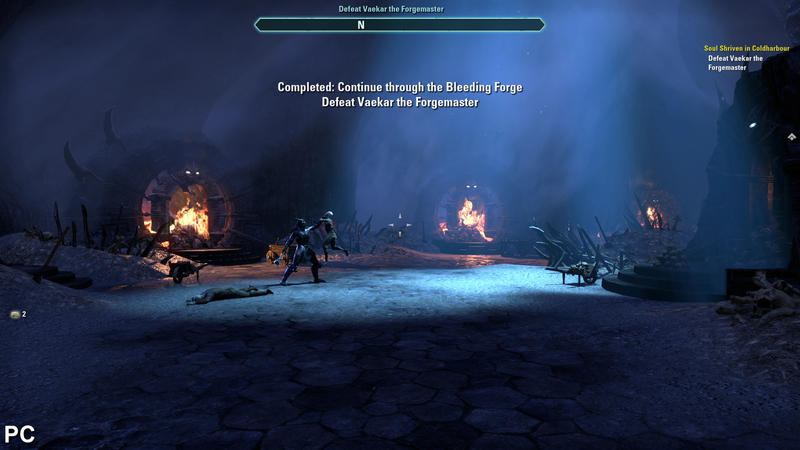 These effects are deployed across all three versions of The Elder Scrolls Online, though not to exactly the same standard. Lights shafts and depth of field are handled equally on PC and PS4, but both effects are dialled back on Xbox One. 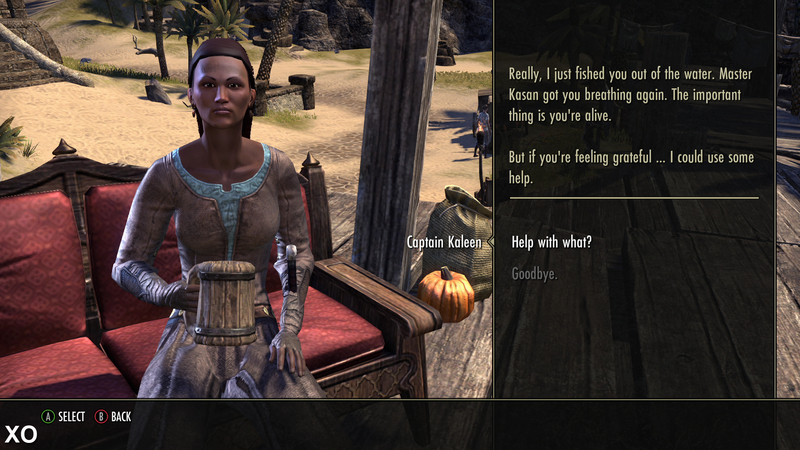 Depth of field is also more selectively deployed on Microsoft's console, with the effect culled from NPC dialogue scenes. Elsewhere, the appearance of water appears more refined on PC, where the addition of environmental reflections adds a more realistic sheen to the ocean. By comparison, only light sources are reflected on consoles, giving water a cheap 90s CGI feel that doesn't do the open landscape justice. The use of trilinear filtering causes ground textures to appear blurry on consoles. By comparison something in the region of 4x anisotropic filtering is deployed on PC, leading to clearer artwork. 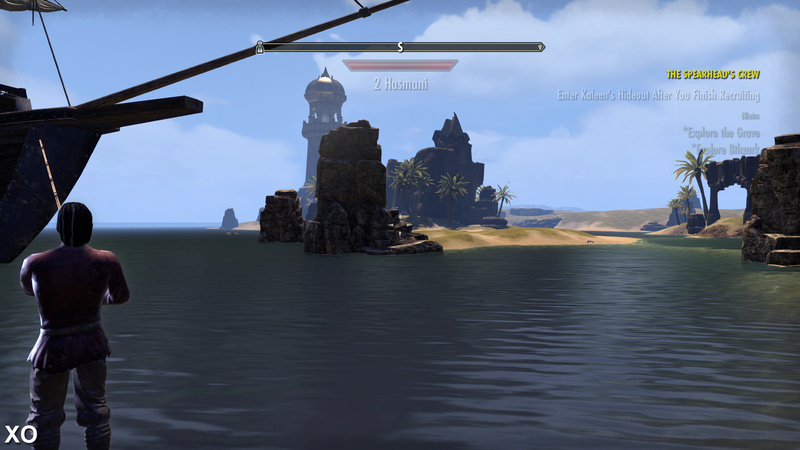 Locations in The Elder Scrolls Online often appear pretty barren across all formats. 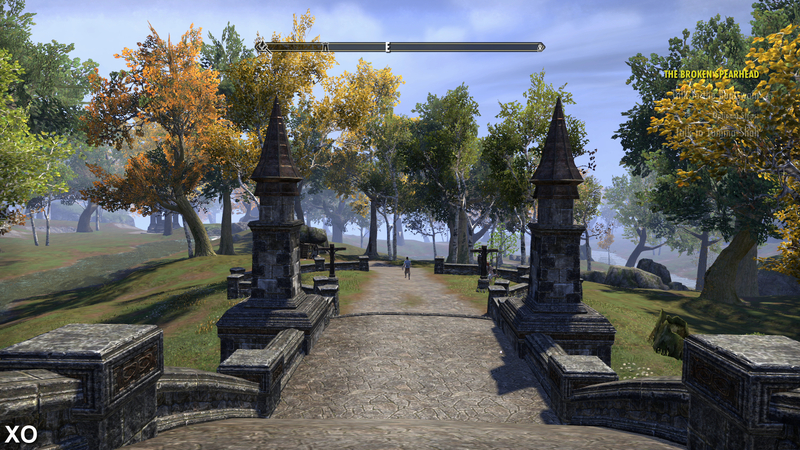 However, longer draw distances on the PC game result in environments looking fuller and more complete. Shadows operate at a higher resolution on PC, appearing sharper and more defined than on console. 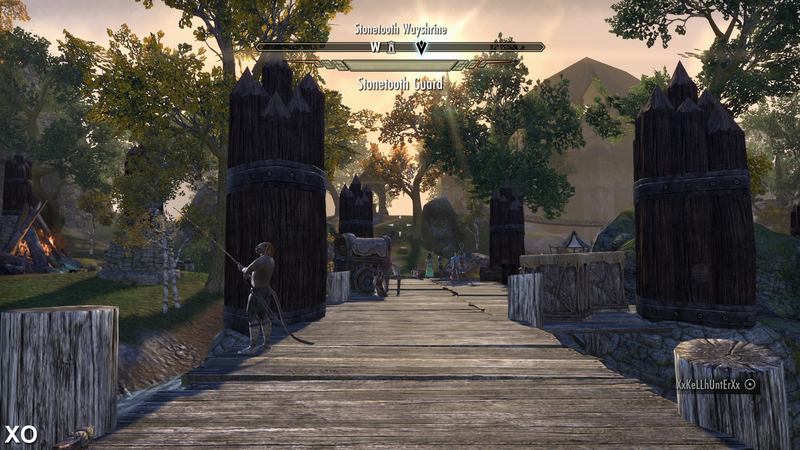 Dynamic time of day and weather systems dramatically change the look and feel of various locations. Material properties allow for elements such as stone, wood, and other surfaces to react differently depending on lighting conditions. Moving onto performance, a modest 30fps is the target on both consoles, with the developer choosing to keep the action permanently v-synced throughout. On the plus side, the lack of tearing across both consoles produces imagery free from any distracting screen wobble with the PS4 and Xbox One offering up similar frame-rates. Both consoles regularly hit the desired 30fps metrics, and neither format commands a distinct advantage during a general run of play. A few frames are dropped during gameplay, but The Elder Scrolls Online avoids any sustained shifts in performance in areas where the engine appears more heavily stressed. In theory, the near constant 30fps update level should translate into a smooth experience. However, this isn't always the case, where the initial fluidity on offer is regularly broken up by pockets of judder that stick out during both slow-paced moments and more heated combat sequences. During these moments we see frame-times varying from 16.67ms up to 55ms, creating a brief stutter due to uneven frame delivery - a unique frame is often followed by two duplicates when the problem occurs, instead of the usual 'unique-duplicate' frame cadence provided by an evenly paced 30fps update. While not particularly damaging, the lack of consistency does distract more than it should when combined with other performance-related issues, leaving the experience feeling a little unpolished at times. More problematic are the sudden pauses that seem to occur when the netcode is dealing with a larger number of players present in the same location, but not necessarily within your immediate line of sight. 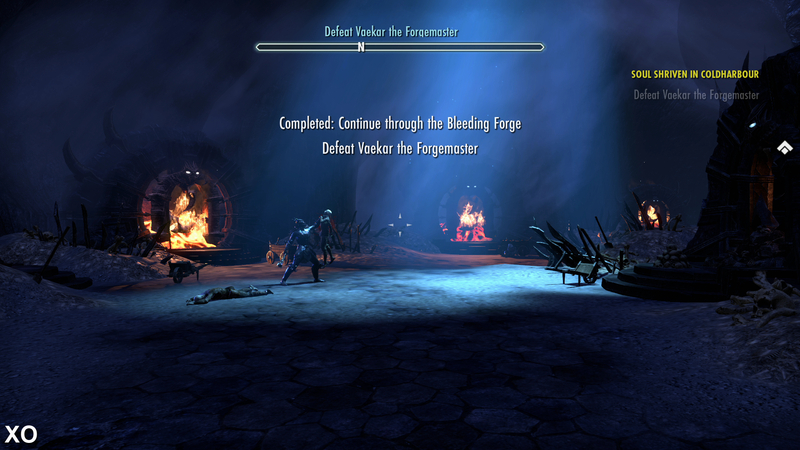 The action freezes for brief moments, usually followed by visible stuttering as the renderer attempts to normalise back to the intended 30fps target. During these moments we see frame-times ranging from around 210ms up to 540ms (over half a second! 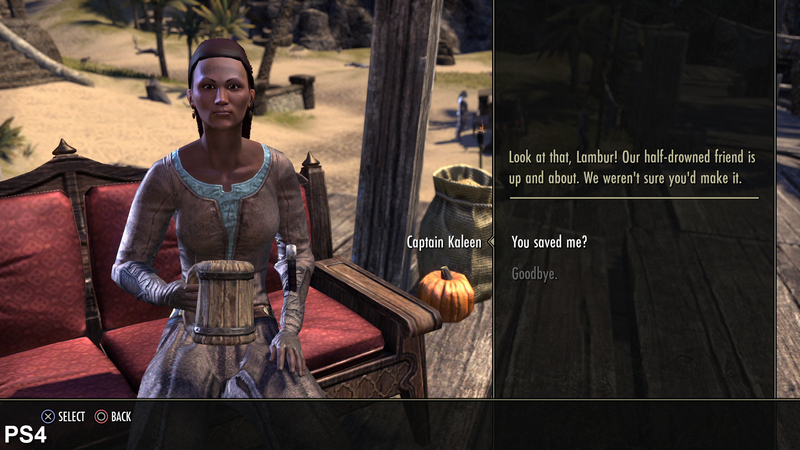 ), regularly reducing the gameplay into a sideshow for short busts that significantly impacts upon the quality of the experience. It's possible to experience a clean run free from these issues for a few minutes, but as the number of people appearing frequently changes across the course of the game, performance is never free from these annoying pauses for long. Curiously, the same issue also exists on the PC game - with the same frequency as on console. 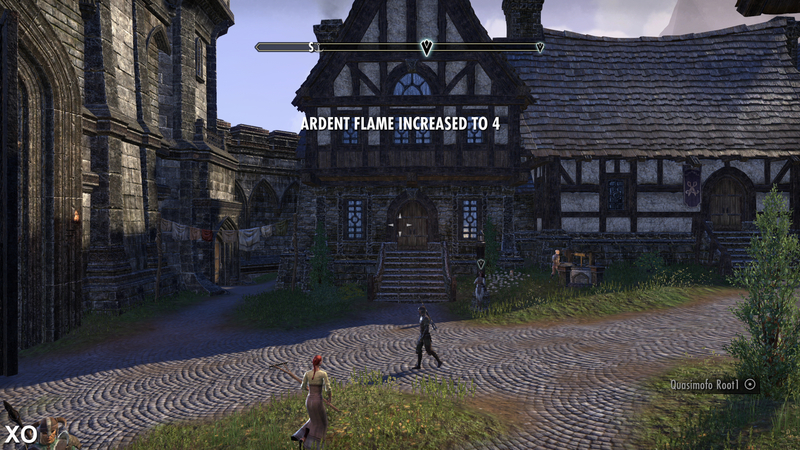 Frame-rates are regularly disrupted by these pauses, which prove even more distracting when running the game at high frame-rates, because it takes longer to the engine to re-establish the desired refresh. 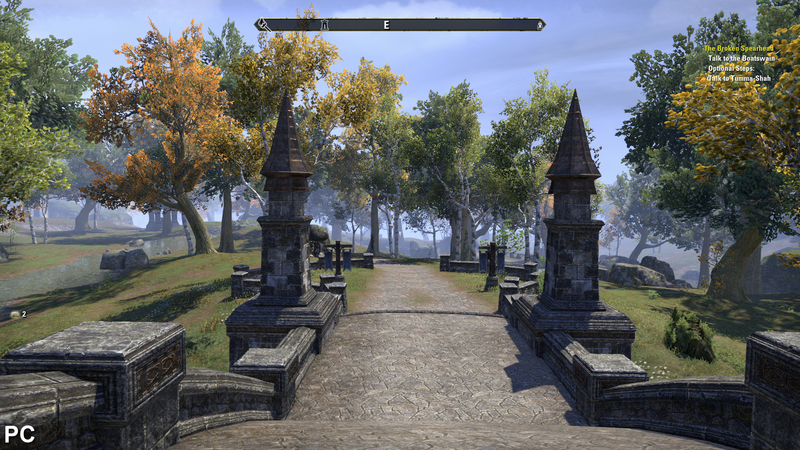 The Elder Scrolls Online regularly delivers 30fps metrics across both PS4 and Xbox One, although the experience isn't quite as smooth as expected. Small dips in frame-rate in combination with regular 'freezes' in performance distract by causing visible judder which spoil the potential for a consistently smooth update. 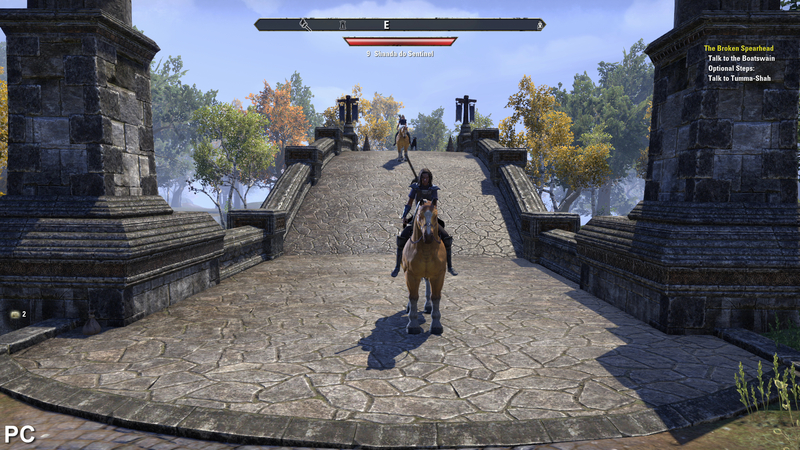 The Elder Scrolls Online comes across as a missed opportunity to deliver the rich open world gameplay loved by so many in the single-player instalments of the series to the MMO arena. 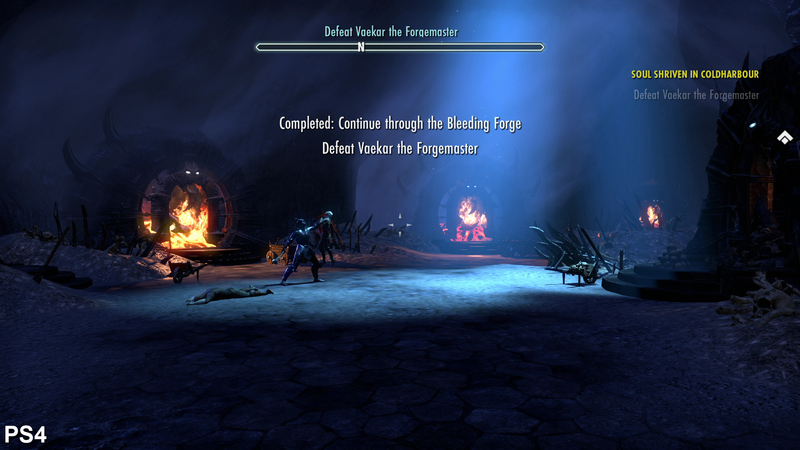 Comprehensive character progression systems are let down by uninspired main quests that feel designed more towards single-player gaming than online cooperative play, while many locations in the world appear rather bland, segmented into sections and spaced apart by loading screens, disrupting the seamless flow of exploration handled so well in previous Elder Scrolls titles - not to mention the excellent Witcher 3. From a technical point of view, the PS4 and Xbox One offer up a similar visual experience to the PC release in terms of image quality and texture detail, though the reduced draw distance and paring back of environment detail in some locations leaves a number of areas feeling barren and less inviting as a result. A 30fps target is to be expected and doesn't detract that much from the overall experience, though the frequent judder and bizarre performance hiccups leave the game feeling unpolished. With its slightly better effects work, the PS4 game gets the final nod, but outside of downgraded light shafts and a reduction in the utilisation of the depth of field effect, there's little to separate the two versions with regards to gameplay and performance - the overall experience is much the same. With the ability to tailor the experience to your personal preferences (not to mention, your individual hardware), the PC game is our preference, with gameplay getting a boost from higher frame-rates. However, the lack of controller support is missed, leaving players at the mercy of mouse and keyboard inputs that can be overwhelming for those not used to this set-up. It's possible to use third party software (such as Xpadder) to manually map actions to the gamepad, but the solution is serviceable at best, with no way of replicating the nuanced movement of the dual analogue set-up on consoles, or to map multiple actions to the same button without unwanted side-effects. Bethesda is investigating adding in controller support on PC after the release of the console versions, but nothing has been guaranteed. 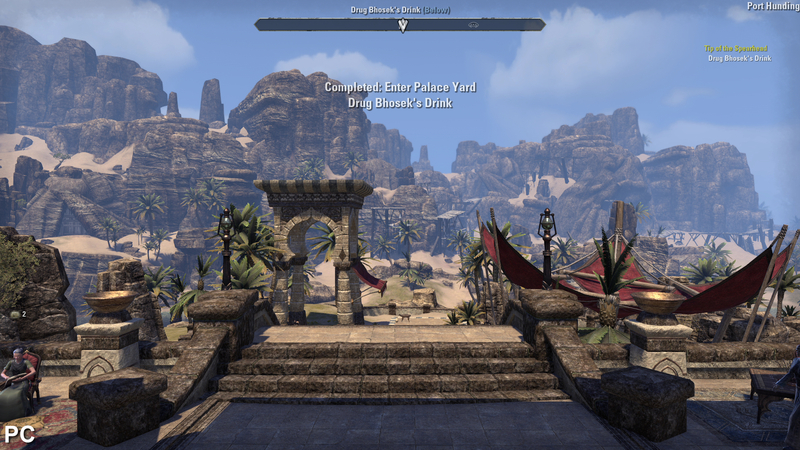 In this case, those used to gaming with a controller would be advised to stick to the console versions of The Elder Scrolls Online, while seasoned mouse and keyboard veterans should feel right at home on PC.